The BACA Excellence Awards will take place at our Autumn Luncheon at Guildhall on 3rd October 2018. We invite you to nominate candidates in each of our six categories (listed below) now. This year we are slightly changing the way in which the Awards work; nominations for any aviation company around the world can be made by any person or organisation and we’ll be also be promoting this through fellow industry bodies. You do not have to be a BACA Member to nominate or to be nominated. A shortlist in each category will be drawn up and then BACA Members, together with a panel of independent industry experts from aviation trade associations around the world will vote on the nominations. The votes of the independent industry experts will account for 60% of the overall vote and the remaining 40% to the BACA Membership. You can nominate candidates online here and don’t forget to send us your supporting text for your nomination. Passenger Charter Airline of the Year – your nomination (sponsored by Air Charter Service) should be for any passenger airline worldwide that offers charter services, and which has really provided the highest level of reliability and service to the market over the past year. Cargo Charter Airline of the Year (sponsored by Transvalair) – your nomination should be for any cargo airline in the world that offers charter services, and which has demonstrated the highest standards of reliability and service to the market over the past year. Handling Agent / FBO of the Year (sponsored by London Executive Aviation) – your nomination can be for any handling agent / FBO anywhere in the world who you feel has provided the absolute best service or a major improvement that demonstrates commitment to quality and deserves recognition. Aircraft Manufacturer of the Year (sponsored by Biggin Hill Airport) – your nomination should be for the manufacturer making the best aircraft at the moment. Are you particularly impressed with an aircraft you operate or have chartered recently? Consider the manufacturers that are really going beyond the market standard in terms of their innovation, product portfolio and service. Who do your flying customers really love to fly with? 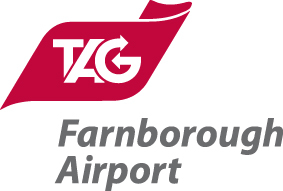 Young Person of the Year (sponsored by TAG Farnborough) – your nomination should be made for any young person (25 or younger) – perhaps within your organisation or elsewhere – who you feel has developed or progressed significantly within the aviation industry, or who deserves credit for other reasons. This could be a great opportunity to give a boost to one of your team, and show your appreciation! We are really looking for someone who stands out as a shining example to their peers and to the market. Someone who has perhaps shown amazing and tangible initiative or creativity or has really stood out by providing exemplary service and commitment. The BACA Council will select a winner from your suggestions, and the result will be kept confidential until the Luncheon. Any nominations should be accompanied by an explanation as to how and why they are the right person for the award. BACA Chairman’s Award (sponsored by Titan Airways). This new category is a great chance to give credit to an individual or team who has made a significant contribution to aviation in any way. It is a ‘Personality of the Year’, ‘Hall of Fame’ and ‘Vote of Thanks’ all rolled into one. Who do you think deserves special thanks or appreciation? This is not restricted to members of BACA as recipients. All that we ask is that you choose a person or group who stands a chance of being able to turn up and receive the award, and who would really deserve and appreciate it! Send us your suggestions, and the BACA Chairman will make the final decision.